Sometimes SolidWorks Thumbnails Graphics Do Not Display in Windows Explorer. Go to the Windows Control Panel - Folder Options and on the tab "View" remove the tick (if installed) "Always show icons, never thumbnails." Scroll down and put a tick if it is not necessary "Display handlers in preview pane view"
Go to the Control click on the "Counters and productivity tools", then "Visual Effects Settings" panel, put a tick "Show thumbnails instead of icons. Check the display of thumbnails if the image does not appear, it is necessary to do a little more action: download files Setting SolidWorks Thumbnails.zip Extract and run the file "Setting SolidWorks Thumbnails.cmd". The batch file does the following: Go to the directory "SolidWorks Shared" and re-register the library "sldwinshellextu.dll"
Listing File "Setting SolidWorks Thumbnails.cmd"
In the process of implementation will be two information windows. As a rule, then all should be displayed normally. 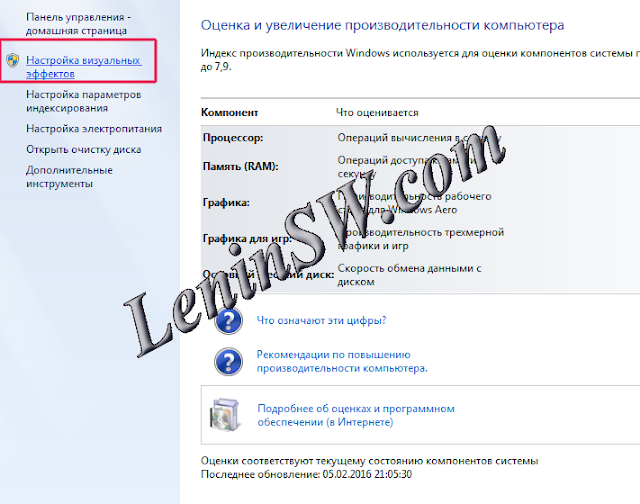 If there is still a preview, re-registering another library "swdocumentmgr.dll". The archive is necessary to run the file "Setting SolidWorks Thumbnails 1.cmd". Also there will be information about the logout window and registration, as in the previous case. File Listing "Setting SolidWorks Thumbnails 1.cmd"
Re-registration of the following libraries will be available on the latest versions of Solidworks. 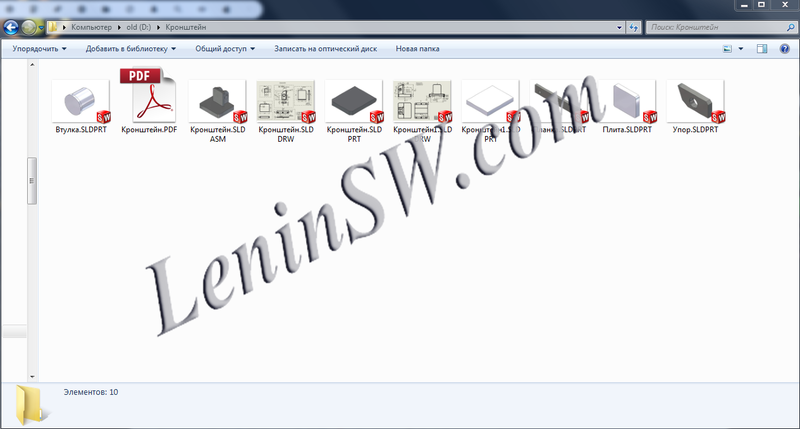 In previous versions, such as Solidworks 2012 it is not there. Please note, the previous batch files to the library path formed with the use of system variables, so no changes are working. 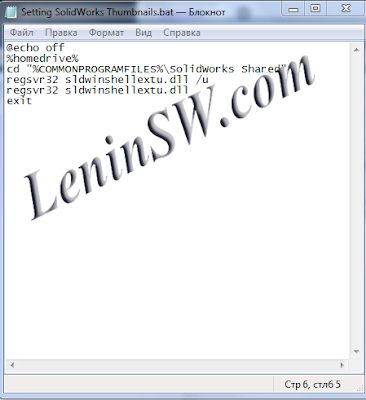 The following batch file needs editing, depending on the path established by Solidworks. 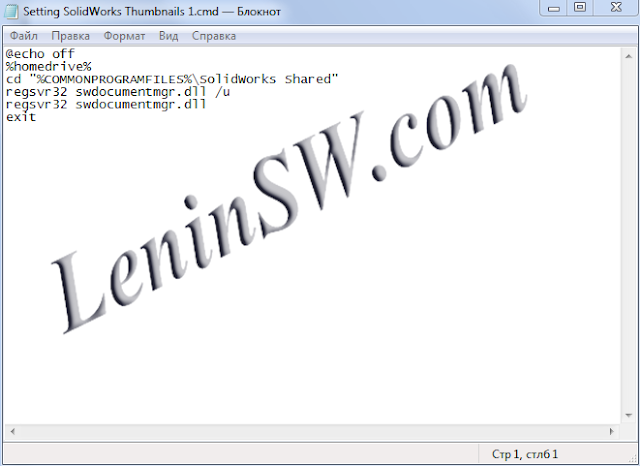 Open the file with Notepad to edit and change the path "D: \ Solidworks \ sldthumbnailprovider.dll" on your path to Solidworks directory. Example "C:\Program Files\SolidWorks Corp\SolidWorks\sldthumbnailprovider.dll" (the default path). File Listing "Setting SolidWorks Thumbnails 2.cmd". If a thumbnail does not appear, restart Windows. I hope the article helped you.